Charming apartment facing Mont Blanc. Property 4: Charming apartment facing Mont Blanc. 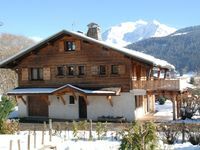 Property 5: ENJOY APRIL 2019 EXCEPTIONAL SNOWFALL Facing Mont Blanc 1450m. 2 + ch. Property 12: Megève - Demi Quartier - 3 bedroom apartment in a chalet - Ski Out! 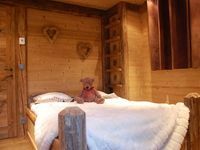 Property 32: Comfortable apartment, 4 people, balcony, wifi, in the heart of Megève! Property 43: The house of the Bear between its private garden and the bio top lake. Un chalet parfait pour 4 couples et 2 b&eacute;b&eacute;s . Une repartition des couchages sur 3 etages permet une excellente repartition des couples, et chacun avec sa zone se vie..id&eacute;al pour ses vacances en famille !